When I first heard about this I wrinkled my nose at it. I’ve never liked cauliflower and my first and only attempt at making cauliflower rice for a stir fry left me with mush. So when I tried this recipe I was skeptical. 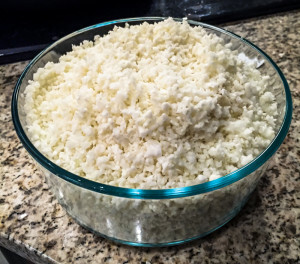 Fortunately this time instead of using a powered food processor I used a hand crank variety and the cauliflower consistency came out much better. I was still skeptical even as I was putting the crust into the oven to cook. It looked soupy and I wondered if this was going to be a complete disaster. Fortunately I was mistaken and was rewarded with a golden brown crust that was extremely tasty and totally passes for a regular pizza crust! 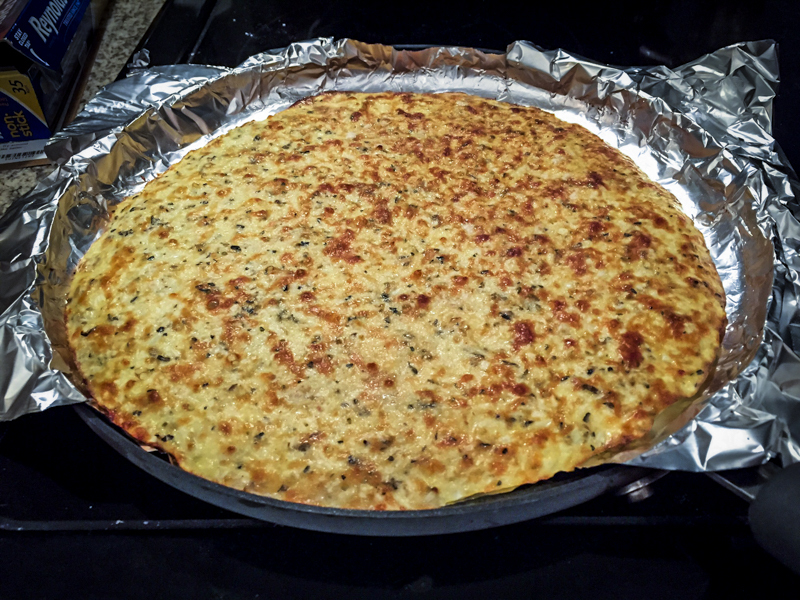 I urge you to try this cauliflower pizza crust recipe and enjoy! Gluten free and totally healthy, depending on the cheeses you choose! 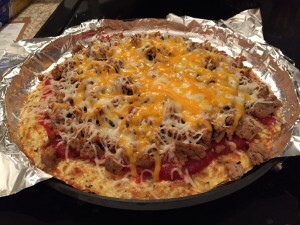 We happened to choose ground turkey and regular cheeses for ours, but in the future I’ll try cashew cheese or perhaps goat cheese on my cauliflower pizza crust! Take a head of cauliflower and break up into florets, throw into food processor and pulse. Place cauliflower grains in bowl and microwave for 3 minutes. Add egg, cheese, garlic, basil, oregano, and salt. 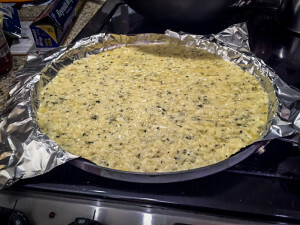 Pour onto flat cooking surface and bake at 450 degrees for 15-20 minutes.